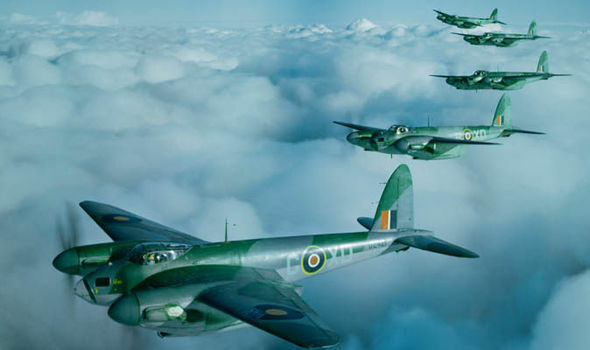 A team of enthusiasts will rebuild and launch a de Havilland Mosquito after a hoard of secret World War Two technical drawings were unearthed in a wartime factory. The discovery of more than 20,000 drawings and diagrams were found just days before the building was due to be demolished. The archive is believed to be the world’s only complete set of engineering drawings of the plane, as well as details of numerous variants of the famous plane’s design that never made it past the drawing board. The uncovered drawings, stored on microfilm cards, have been donated to the charity The People’s Mosquito, which is hoping to restore and fly a crashed version of the twin-engined plane dubbed ‘The Wooden Wonder’. Chairman John Lilley said the drawings had been found earlier this year by an engineer just before the former de Havilland building in Broughton, near Chester, was to be demolished. He said: “He understood the tremendous historic value in these engineering drawings and how useful they could be. The building itself was soon to be demolished and the contents discarded. 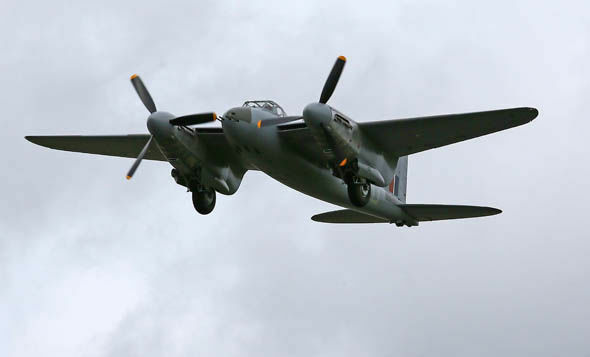 The charity hopes to restore the remains of a Mosquito night fighter that crashed at RAF Coltishall, in February 1949, while serving with No 23 Sqn. Ross Sharp, engineering director for the project, said: “As you can imagine, restoring an aircraft that is 70 years old presents several challenges, one of which is a lack of information on the building techniques, materials, fittings and specifications. Designed by Sir Geoffrey de Havilland, the plane was made from pieces of wood, pressed and glued together in moulds, earning it the nickname ‘The Wooden Wonder’. Due to its versatility and speed it served in a number of roles during the war, including bomber, fighter, night fighter, U-boat hunter and reconnaissance plane. Production started in 1941 and exactly 7,781 were eventually built, the last one on November 15, 1950. 6,710 of them were delivered during the Second World War. Herman Goering, the Nazi’s commander-in-chief of the Luftwaffe, said the aircraft turned him “green and yellow with envy”. “In 1940 I could fly as far as Glasgow in most of my aircraft, but not now. It makes me furious when I see the Mosquito. I turn green and yellow with envy. “The British, who can afford aluminium better than we can, knock together a beautiful wooden aircraft that every piano factory over there is building.